Daimler's Car2Go service (shown) will combine with BMW's DriveNow unit. FRANKFURT -- Daimler said it was open to considering a broader alliance and a partial listing of its mobility services operations, which include car-sharing. 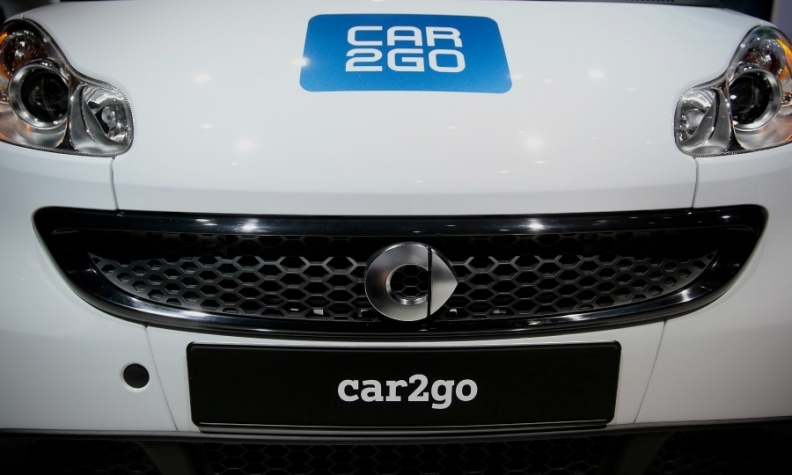 Speaking to analysts, CEO Dieter Zetsche, who is also head of Mercedes-Benz Cars, said he was open to combining his company's mobility services, Car2Go, with that of a rival. "To the extent that it would be more successful in a partnership, we would consider that," Zetsche said. Daimler wants to expand its mobility services, which includes the Moovel, MyTaxi and Car2Go business, and may tap shareholders to fund the expansion, Chief Financial Officer Bodo Uebber said on Friday. "We do not exclude that we go for external funding," Uebber said. BMW bought out partner Sixt from their joint venture DriveNow, paving the way for a broader car-sharing and robotaxi alliance with Daimler, Reuters reported last week. Uebber on Friday declined to comment on the prospects of a combination with DriveNow.